Michele Pellizzari is professor of economics at the University of Geneva, where he is also the director of the Laboratoire d'Économie Appliquée. Before joining the University of Geneva, Michele was an Economist in the OECD Employment Analysis and Policy Division and prior to that he was assistant professor of economics at Bocconi University in Milan (Italy) and Head of Welfare Studies at the Fondazione Rodolfo Debenedetti (Milan), where he is now a Senior Fellow. He is also a Research Fellow at the Institute for the Study of Labor (IZA) in Bonn and an External Research Fellow at CREAM (UCL, London). Michele holds a PhD in Economics from the London School of Economics (London, UK) and has visited the Economics Departments at Stanford University and at the University of California at Berkeley. 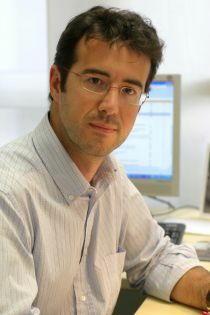 His main research interests lie in the area of labour economics and applied microeconometrics and his studies have been published in scientific journals such as the Economic Journal, the American Economic Journal: Applied Economics, the Journal of the European Economic Association and the Industrial and Labor relations Review. He has also authored and contributed to numerous books, intended both for the academic and the wider public. Michele is a member of the editorial board of the Italian economic policy watchdog website lavoce.info. Michele Pellizzari joined CReAM as an External Research Fellow in April 2014.